Imagine an environment where your child is free to explore and learn at their own pace. To investigate and manage their own curiosities and interests. Imagine teachers who work side by side with your child in an effort to know and understand them as an individual. Imagine a classroom where your child can both learn from and lead their classmates. Country Montessori School provides a place of potential and possibility for its students. Country Montessori School is for parents who want more for their children. We are now accepting applications for the school year. Please complete the Online Admission Application Form to apply for a place in our Early Childhood or Elementary Programs. Why Choose Country Montessori School? Country Montessori is an authentic Montessori school that focuses on the emotional, academic, spiritual, social, and physical development of the child. Mixed-age classrooms provide a collaborative environment where children can mentor, lead, and learn from each other. The Prepared Environment offers children a space that is guided by a Montessori-trained teacher and equipped with specific materials and lessons that cover language arts, mathematics, practical life, and more. Individualized programs are designed for each student knowing each child is different, has unique interests, and learns at their own pace. Country Montessori offers programs for children ages 2 years and 6 months to age 10. CMS does not discriminate on the basis of race, religion, national origin, or political belief. Each application for admission is assessed individually, pursuant to the enrollment criteria for the programs and curriculum of CMS. The environment can adapt to students of varying academic abilities and diverse learning styles. Children with exceptional needs (behavioral/emotional, developmental, learning differences) are accepted at Country Montessori if the Head of School, Director of Admissions and Enrollment, classroom teachers, and the parents feel the child’s needs can be met within the Country Montessori setting. The school makes every reasonable attempt to guide children to success in the program. Nevertheless, all new students are admitted with a 60-day probationary status. 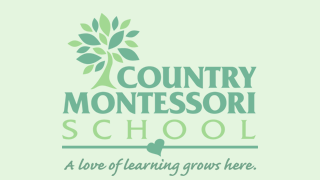 Country Montessori School follows the calendar for the Poway Unified School District. Childcare or summer camp is available for most days when the school is not in session. Childcare is available between the hours of 7:00 – 8:00 a.m., and between 2:30 – 6:00 pm for Early Childhood children and between 3:00 – 6:00 pm for Elementary children. The cost is $7.00/hour billed in 1 hour increments or unlimited childcare for $250 per month. Childcare when the school is closed is billed at $45 for the whole day and $25 for 5 hours or less. CMS provides a healthy morning snack for Early Childhood children. Elementary children should bring their own snack. Lunches are not included in the price of tuition. Due to the special needs or diets of children, parents provide lunch for their child. Parents are expected to send lunches that reflect good nutrition. Lunch options, provided by local restaurants, are also available by special order. …Now that the school year has been under its way for almost a month, we look back and realize how true the staff’s remarks were and how much relaxed we are all as a family. Despite the occasional initial fussing, our son adapted wonderfully to his school environment. He has become confident, more verbal, expressive, and very social! He has learned how to work/play independently and in a group setting as well. As for his separation anxiety, it has been reduced to a minimal and we do not experience frequent bouts of tantrum due to his improved communication skills. We owe these changes to Country Montessori School’s teaching system, to his teachers and the entire school’s environment. Our experience further confirms how much a suitable educational setting can influence and nourish young minds and souls. Thank you Country Montessori School for providing such outstanding service to the community! We all look forward to many great years of learning together. We feel very lucky to be a part of this family. Preschool: at least 2 years 6 months by September 1 of the school year. Tours and observations are available by appointment. Please call the office to schedule. When the decision to apply is made, complete the application form online. If the application is for a 1st Level or above student from a non-CMS family, the child will be invited to an elementary classroom for assessment. Admission decisions are made by the Admissions Committee. Once your student is admitted you will receive a packet of Enrollment papers. You must return these with the payment of the first installment of tuition and the enrollment fee to hold a place for your child. You will be invited to an orientation where the child/ren will meet their teacher. If a place is not immediately available, you may wish to be placed in our wait list. Current CMS students whose enrollment contract and payment of fees are received by an established re-enrollment deadline. Siblings of current CMS students whose enrollment contract and payment of fees are received by an established re-enrollment deadline. If selecting 1st level must have been in Kindergarten at CMS. New students with a Montessori background whose ages will achieve balanced age groups and levels in the classrooms. This includes siblings enrolling from other Montessori Kindergarten programs. Applications for the 1st Level Elementary students will be date and time stamped. If the number of these applications from current families over subscribes the places available in the 1st level Elementary program, then the date and time of receipt will be the deciding factor. Prospective students for the new Academic year will be not considered for enrollment until the re-enrollment period is over for the current families. Once the school year has commenced, entrance into the program will be considered on an individual basis. The Admissions Committee reviews applications of all new students. When a child is placed in one of our programs and classrooms, the following is considered: boy/girl ratio, ability level, prior Montessori experience, age, classroom size, and special needs. A well-balanced classroom is critical for the success of both new and returning students. For children moving up into our next program level, class placement is based on the aforementioned criteria in addition to input by teachers from both of the levels involved. Preferences for a specific classroom are considered, but not guaranteed. It is up to the discretion of the Head of School and teachers as to whether it is appropriate for siblings to be placed in the same classroom. Country Montessori School calendar follows the Poway Unified School calendar for vacation days. The financial responsibility of parents is detailed in the enrollment contract. The enrollment contract signed online and the payment of the Non Refundable enrollment fee and the 1st installment of tuition means that a place is secured for your child for the school year. The balance of the tuition is paid in installments by ACH (Automated Clearing House) or by check on the 5th of the month. A sibling discount of 10% for the second child and 15% for the third child will be subtracted from the tuition of the second and subsequent child(ren). This discount does not apply to childcare or summer camps. Tuition is a annual amount, divided by 10 in line with the 10 month academic year. Therefore, as school expenses remain unaffected by absence, no tuition allowances will be made for absence caused by illness, vacation, or any other reason. Tuition payment is required, regardless of absence for an extended period. In the event that a family decides to withdraw their child from CMS, notification must be made to the school in writing of the last day of attendance. If payment has already been made for that period then no refund will be made. If the leaving date is in the next payment period then full payment must be made. The name “Montessori” is in the public domain. Anyone can use it and claim to be a “Montessori School.” That’s why we encourage you to do your homework before you enroll your child anywhere. Choose the school with a history of success with alumni that possess the qualities you most want for your child. Inquire who the school is affiliated and accredited by. Please be aware that some schools advertise themselves as “Montessori Inspired” or “Montessori Based.” Although these may be fine schools, they are not authentic Montessori schools. Summer brings out fun camps at CMS! Each week is a different theme which lets children explore an interest or develop a new skill. All camps include arts and crafts and lots of hands on learning. Camps are led by CMS staff who are all experienced educators. Children can be enrolled for each week individually. Half day and full day camps are available. Children should bring lunch. There is also time to play in Country Montessori School’s large playgrounds. The 3-acre campus in Poway provides a peaceful and secure environment. Childcare is available both before and after camp. Cricket Camp is for 2.5 year olds through to incoming kindergartners and Kookaburra Camp is for 1st through incoming 5th graders.